AMD RX 480 Graphics Drivers Download & Update Easily! There are many ways for you to download Radeon RX 480 Graphics Card device driver, but basically, you need to find a trustworthy for you to download the trusted device driver, otherwise, the faulty driver could corrupt your computer and cause some very serious damage. This post shows you three trustworthy ways that you can download and update your Radeon RX 480 Graphics card driver. You don’t need to do them all; just browse through and find the perfect way for you. Device Manager is the easiest way for you to get the updated device drivers, but the down side is, you don’t usually get the latest driver in this way. Still, it worth a shot. 1) Go to Device Manager. Locate and expand Display adapters. Double-click AMD Radeon RX 480. 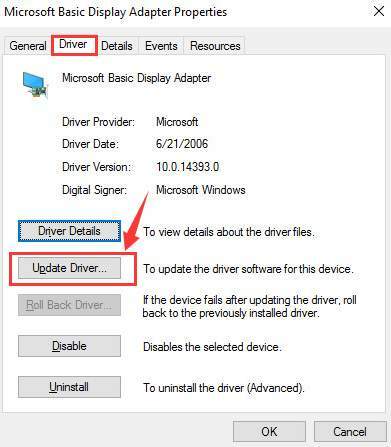 2) Go to the Driver tab, and click Update Driver…. 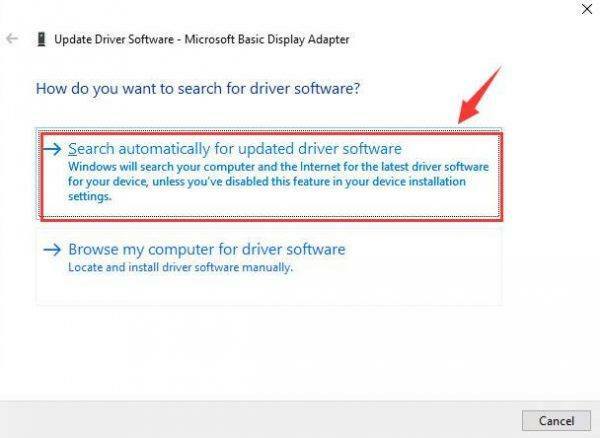 You need to go for other ways to get your display card driver updated since Microsoft cannot help you do this for now. If Device Manager fails to get you the latest driver available, you can always go to AMD and get the driver by yourself, but it requires certain skill sets. If you’re not comfortable updating the driver by yourself, go ahead and jump to Method 3 to get it automatically. 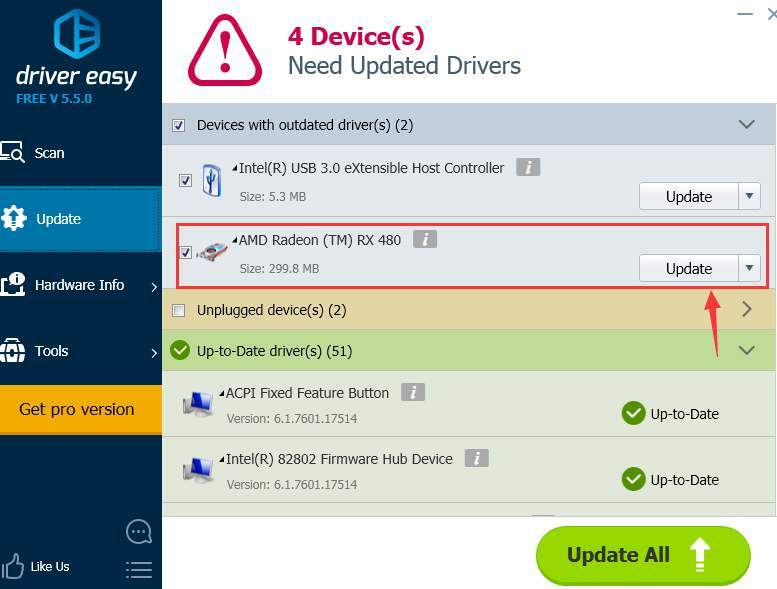 1) First, go to the support website of AMD drivers: AMD Drivers + Download Center. Scroll down a little bit to choose from the Radeon RX 400 Series section your operating system. 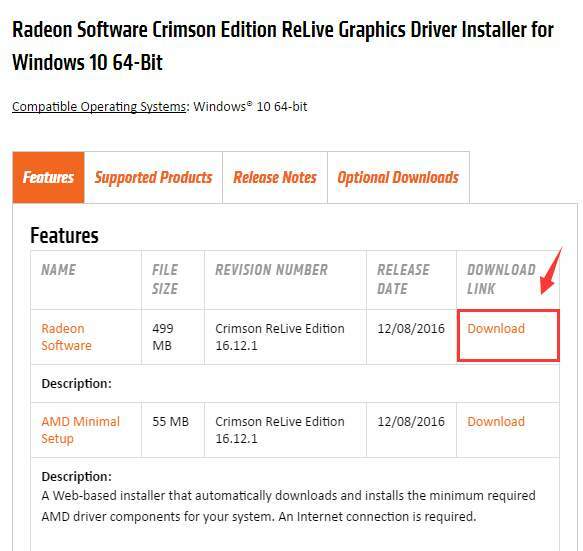 2) Download the Radeon Software by pressing the Download button on the side. 3) If you need more drivers for you AMD Radeon RX 480, you can choose the Optional Downloads bar and then download the drivers you need. 4) Go to Device Manager again. Locate and expand Display adapters. Double-click AMD Radeon RX 480. 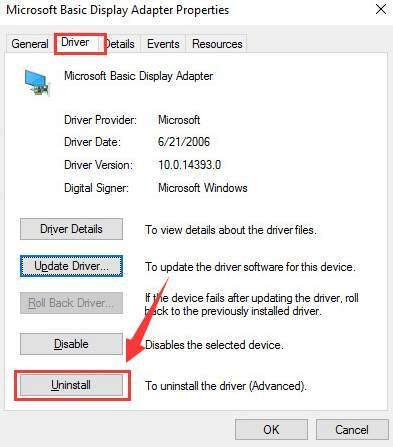 5) Go to the Driver tab, and click Uninstall. 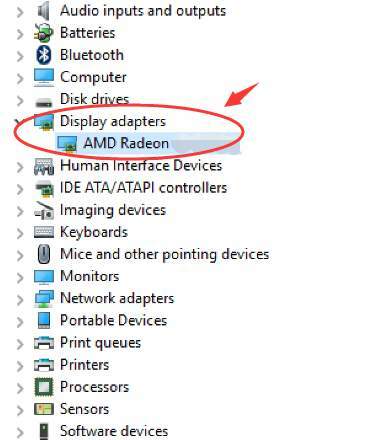 6) Double-click the downloaded AMD Radeon RX 480 driver, and run the installation manually. 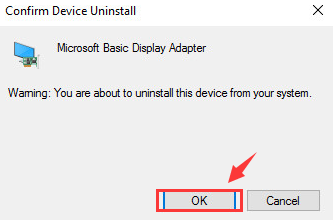 7) Restart your computer for the changes to take effect after the installation. 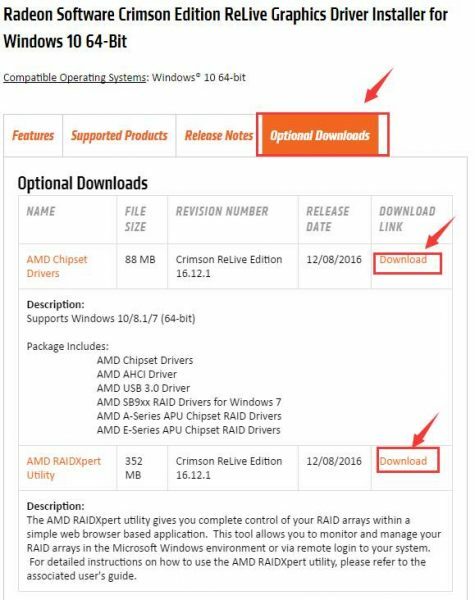 3) Click the Update button next to a flagged AMD 480 device to automatically download and install the correct version of this driver (you can do this with the FREE version).